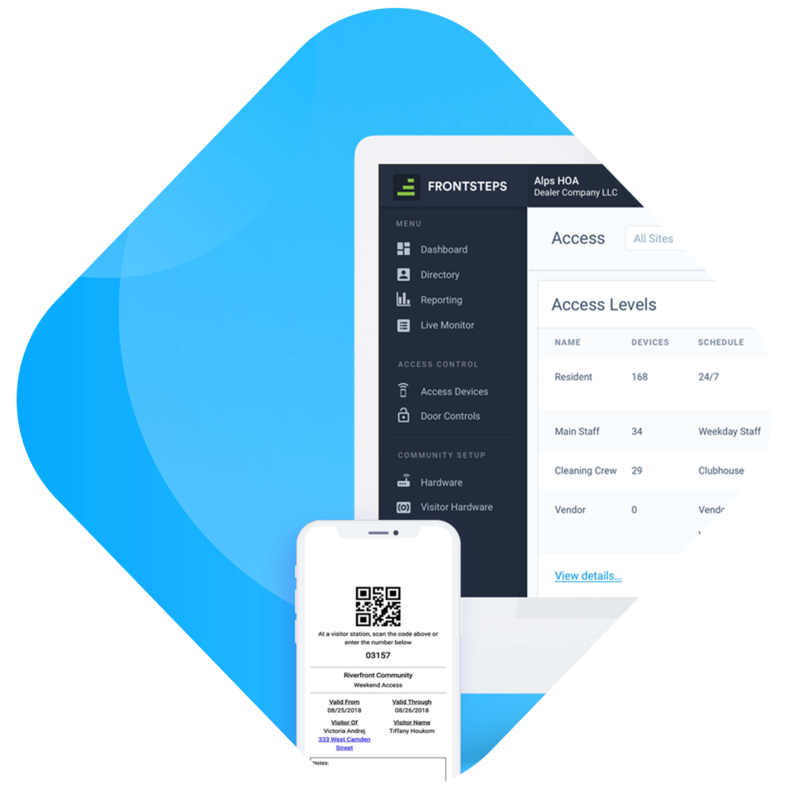 Secure offers cloud-based credentialed access, visitor management, telephone entry, and more, all within one simplified platform. When combined with our community management software, your staff can manage everything within the community from events, packages, and maintenance requests to residents, visitors, and vendors. Secure integrates with most 26 Bit Weigand readers in the marketplace including the industry’s most trusted hardware providers, HID and Kantech, as well as KTES telephone entry, with more integrations coming soon. Residents can create visitor passes for guests, allowing your team to get visitors and vendors into the community within seconds. With Secure and Connect, specific amenities and gates will never deter you from adding new properties to your portfolio. With a convenient dashboard that alerts you when hardware is down, you can send support to your communities long before receiving phone calls about the issue. 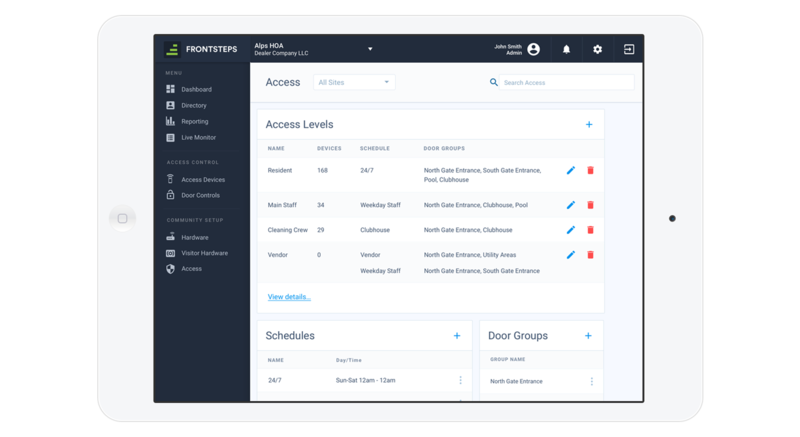 FRONTSTEPS provides all the tools necessary to manage residential and condo high-rise communities. Bundle our solutions to make your employee’s lives easier and save your company money. Are you a dealer interested in selling Secure? Learn more about our certified dealer program.